SMART HOME PROMOTION ON NOW! Executive style living at an affordable price close to the Legends golf course. Come by and experience the quality, comfort and unique design. This modern and bright 2 story home features 1756 sq ft 9ft ceilings, 3bed,3bath,and second floor laundry room and backs a green space. The main floor is an open concept and features a cozy gas fireplace, maple kitchen with soft close cabinets, quartz countertops and patio doors looking onto your covered deck and fully fenced and landscaped back yard. 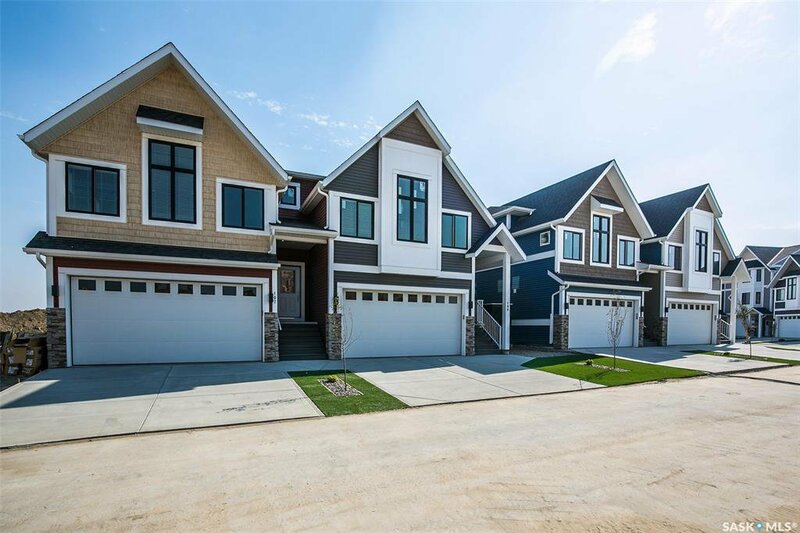 This home boasts vaulted ceilings in the large master bedroom, a stunning en-suite with soaker tub/shower combo, dual sinks and a spacious walk-in closet. The layout is great for families and the downsizing couple. The basement has high ceilings, a large window, a 4pc rough in for future bathroom or wet bar area. Also included is a double attached garage, concrete driveway and new home warranty. This unit comes with Basement framing and some electrical done and a started 4 pc bathroom as well as a gas bbq hook up on the deck. Come see why this is our best selling floor plan! Unit priced before tax and rebates.